Here is an idea. Using a bag of potato chips to hear what you're saying even through soundproof glass. 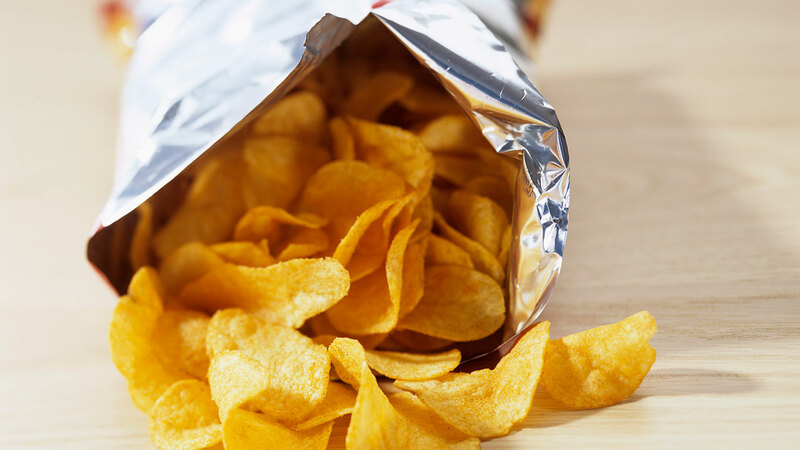 Now, researchers from MIT are trying to figure out a way to make that bag of chips tell them everything that you said — and apparently, they have a method that works. By pointing a video camera at the bag while audio is playing or someone is speaking, researchers can detect tiny vibrations in it that is caused by the sound. When later playing back that recording, MIT says that it has figured out a way to read those vibrations and translate them back into music, speech, or seemingly any other sound. While a bag of chips is one example of where this method can be put to work, MIT has found success with it elsewhere, including when watching plant leaves and the surface of a glass of water. While the vibrations that the camera is picking up aren't observable to the human eye, seemingly anything observable to a camera can work here. For the most part, the researchers used a high-speed camera to pick up the vibrations, even using it to detect them on a potato chip bag filmed 15-feet away and through a pane of soundproof glass. Even without a high-speed camera though, researchers were able to use a common digital camera to pick up basic audio information. "We’re scientists, and sometimes we watch these movies, like James Bond, and we think, ‘This is Hollywood theatrics. It’s not possible to do that. This is ridiculous.’ And suddenly, there you have it," Alexei Efros, a University of California at Berkeley researcher, says in a statement. "This is totally out of some Hollywood thriller. You know that the killer has admitted his guilt because there’s surveillance footage of his potato chip bag vibrating." The research is being described in a paper that will be published at the computer graphics conference Siggraph.